Registration is now open for the 2016 US National Chidon HaTanach. Please visit http://goo.gl/forms/l0dguoj34q to register your school. With the 2015 Chidon behind us, I am posting links to news articles about this year’s Chidon. If you know of any other links, please send them to me. Ashkenazic Chief Rabbi David Lau sent video greeting to the Chidon finalists and recorded a question for the finalists. You can view the video at http://1drv.ms/1zy2OsY. Finalists had the opportunity to answer the question via text message. The 1st-Place winners plus Jacob Miller will be the 4 Americans who represent us in the International Chidon in 2016. Congratulations to all of the finalists and winners on the tremendous knowledge that they accumulated! 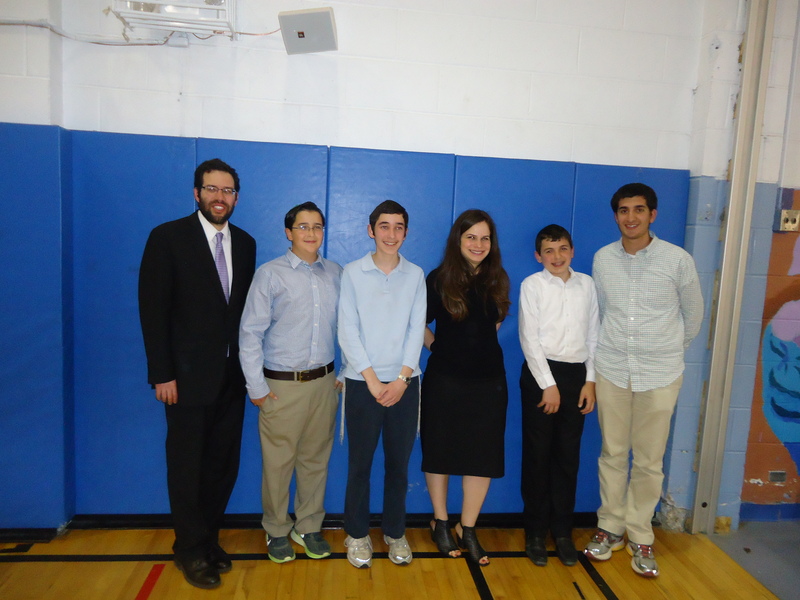 You are currently browsing the US Chidon Ha-Tanach blog archives for May, 2015.